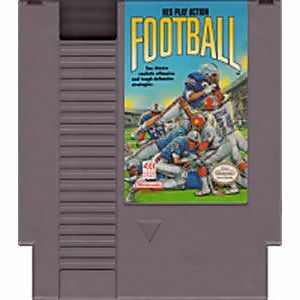 NES Play Action Football original NES Nintendo Game cartridge only - Cleaned Tested and Guaranteed to Work! This game came with another six that I ordered. As yet, I have not played it. According to other reviews, I will enjoy it when I do. Will give it a four for now. Lukie Games are easy to deal with, and shipping is fast. I will certainly deal with them again. I 'scored' this game at no cost, thanks to LG "Lukie Points" and it plays perfectly - it is a fun game for up to four players, or solo against the CPU - add the PAF game booklet, and you are all set. 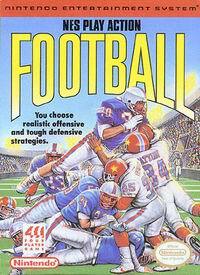 if you like football games! i love this game. it is super simple, fun, easy to learn, decent graphics, decent play time, decent sound track, all around a decent game. 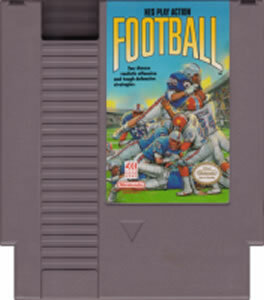 by no means as awesome as SMB3 but i rank this one in my top 10 favorite games for the NES. it's a blast!